How Much Electricity Quantity Consumed By AC Adapter Every Day? How many users have kept their AC adapter connected to external power supply every day? Have you ever considered that how much electricity quantity has been consumed by the AC adapter for laptop? Maybe it will be far more than what we expected if it has been calculated accurately. As laptop battery hasn’t developed so rapidly as we like, users come to rely more on AC adapter to get enough power energy. Without doubt, as long as the computer is on, continuous electricity has been consumed every day. In addition, high capacity AC adapter for laptop will consume more with the same period of charge time including laptop power cord. There’s no denying that although laptop and the adapter seem to be small in size, it won’t reduce its requirements in power consumption while some need more than many other consumer electronics. Compared to other components in the computer like battery, LCD screen and internal circuits, AC adapter has been paid less attention when we think about the performance of laptop and actually it has been a primary contributor to laptop usage and environmental protection. 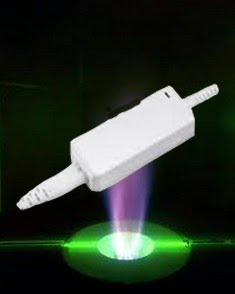 Among all the processes of electricity consumption, many of them are possible to avoid by AC adapter for laptop. First, as many users haven’t established the habit of unplugging the laptop charger after using, more power energy has been wasted by the adapter and laptop power cord themselves instead of actual work while more internal resistances emerge to increase the consumption. Second, when the battery capacity is indicated to a certain value, AC adapter begins to provide power energy to it, regardless of the consequence. To be sure, it will not only waste more electricity quantity from mains supply but also reduce the performance of laptop battery. Any conditions as above are common in daily work, for which we should pay more attention to. After all, the electricity expense and environmental protection are close to our daily life and lifestyle in the near future.